Witness some of the largest luxury superyacht charter boats jostle for position in the famous bay of Cannes, France. 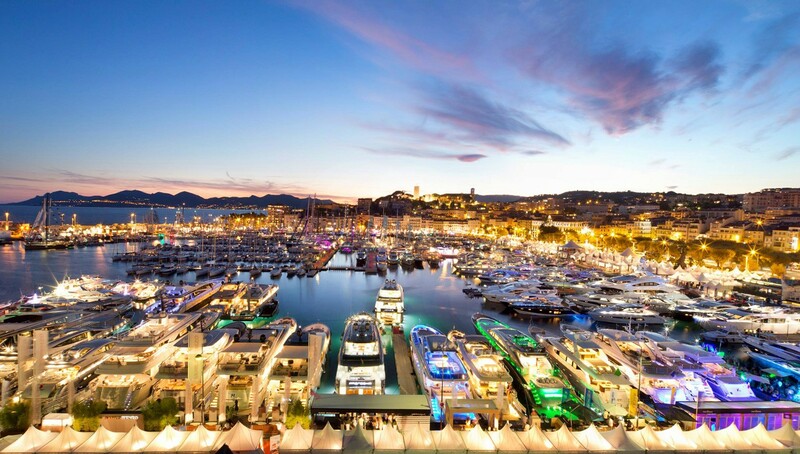 Cannes is certainly one of the more famous private luxury yacht destinations in France, let alone the world. A Cannes yacht charter vacation brings you into the very heart of the French Riviera and this famous luxury destination has all the features that a glamorous seaside resort town should have. Golden sand beaches fringe the promenades and the harbour is filled with superyachts at its two main marinas. World-class hotels and restaurants further enhance the prestige of this location, which annually hosts the Cannes Film Festival among its packed calendar of events. 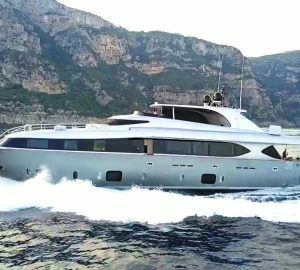 Each May the restaurants, bars, hotels, beaches, and promenades fill up with the rich and famous from the movie industry, making a Mediterranean luxury yacht charter in Cannes the perfect base at the heart of the action. For those looking for a quick escape from the glitz and glamour the Iles de Lerins are mostly covered in pine forests with secretive beaches to the south for tranquil relaxation or fun with the water toys. From Cannes, sailing yachts and motor yachts have access to other impressive cultural or natural destinations such as Antibes, Nice, Monaco and St. Tropez. The 200+ beaches of Corsica lie just beyond the sea and Sardinia is also a bio-diverse wonder catering to all aspects of the luxury yachting lifestyle at Porto Cervo. Cannes is relatively tranquil for most of the year and conveys the relaxed feel of a beach resort. Cannes is positioned quite centrally along the French Riviera with easy access to Antibes, Nice and Monaco in the north and St. Tropez in the south. A power yacht could almost explore all of these ports, in a couple of days. Cannes yacht charter prices begin at around 15,000 Euro, all-inclusive and go up to over 1,000,000 Euro plus expenses. There are thousands of charter yachts available in Cannes at prices between these figures. Here is the full list of yachts available in Cannes this year. The Cannes Film Festival and other international festivals held throughout the year, sensational cuisine, fantastic shopping, world-class museums and beautiful gardens. In the Old Quarter beside the marina, take in the artistry that was poured into the Church of Our Lady of Esperance and continue your journey through a different era with the Musée de la Castre just a short walk away. The Villa Rothschild & Gardens are now a public library and well worth a visit on a stroll through the Cannes streets, while back at the marina the Palais des Festivals et des Congrès de Cannes is an unmistakable modern building that hosts not only the Cannes Film Festival but the Fireworks Festival, Dance Festival and International Games Festival throughout the year. Shopping opportunities abound in Cannes, where big brand names such as Louis Vuitton and Burberry line the streets along with one of a kind art galleries and boutiques for that bespoke piece for the home or wardrobe. As one of the better known yacht charter ports in France and indeed the Mediterranean, Cannes offers all the main types of yacht charters such as motor, sailing, skippered, crewed yachts, catamarans, power boats, luxury yachts and off-course the ever increasing superyacht charter. 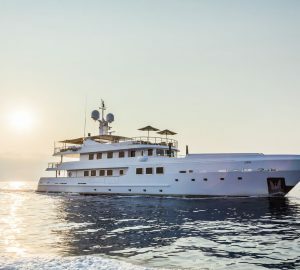 What characterises the Mediterranean is its myriad architectural styles spanning an incredible and tumultuous history, magnificent beaches that stretch for miles or are hidden in forested coves, clear blue seas and an abundance of ports and yachting facilities for superyachts of all shapes and sizes. 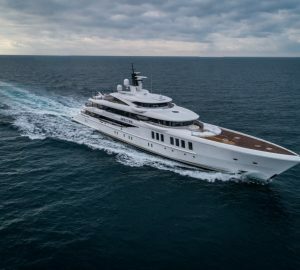 The Western Mediterranean is one of the world’s premier yacht charter locations – and Cannes is positioned strategically to experience the best of what the region has to offer. The Cannes luxury yacht charter location is part of a larger region known as the South of France, the Cote d'Azur or the French Riviera. There is no fixed definition for the French Riviera, however the Calanques National Park to the west and Monaco to the east are generally considered its boundaries. Pack your week-long holiday with vineyard tours, beaches and grottoes, with satisfying snorkelling and Scuba diving sites for all ages and abilities up and down the coast. Festivals, concerts and other events are on regularly throughout the year. This culturally rich region has been influenced by the Greeks and Romans, aristocratic Russians, poets, writers, artists and musicians throughout the centuries, leaving behind a bounty of castles, fortresses, flavoursome recipes and works of art that will characterise your holiday. Yachting Seasons & Climate: Cannes in the summer has a comfortable average temperature of 27°C/81°F, whereas a luxury yacht charter in December and the New Year will experience temperatures around 7°C/44°F. October tends to be the wettest month with June through to August the driest period. Clothing to Pack for Your Charter: From the sensational beaches to the centre of Cannes, your wardrobe will be varied to match the occasion: Pack smart wear for attending galas and casinos, light layers for the summer months and a jacket for the cooler evenings. If visiting religious sites, clothing should cover shoulders and thighs. Best time to go: From May until the end of September the Mediterranean is bursting with regattas, beach parties and music festivals. To have land-based locations and popular beaches to yourselves, avoid visiting in July and August when the school summer holidays take place. The Mediterranean is also a great winter destination, offering a warmer climate to the east and an atmospheric holiday experience among Belle Epoch architecture along the French Riviera. Yacht Rentals Available: Go here for the current list of yacht rentals in Cannes. Full France Yacht Charter Guide: Go here for the essential France yacht charter guide. Cannes Itineraries: Here is a selection of broker itineraries for Cannes. News: Read the latest superyacht news about Cannes. Explore Location Guides for great destinations near Cannes .